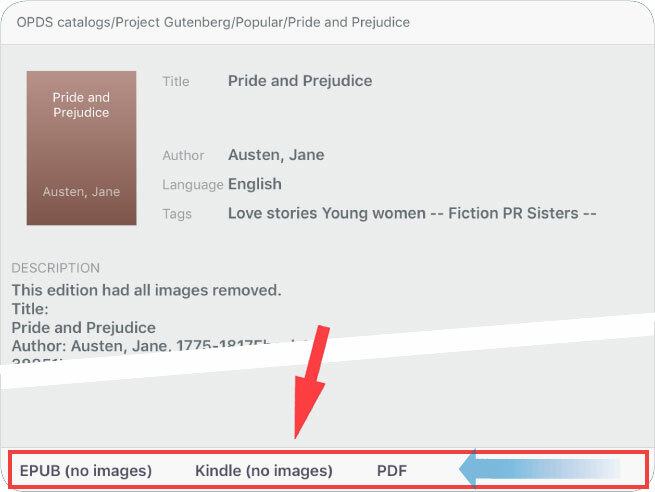 You can download books from OPDS catalogs. Tap Main menu on the Toolbar, and then, go to the OPDS catalogs service. Tap to add OPDS catalog. Enter name and URL. To edit or delete the Custom catalog, swipe to the left. 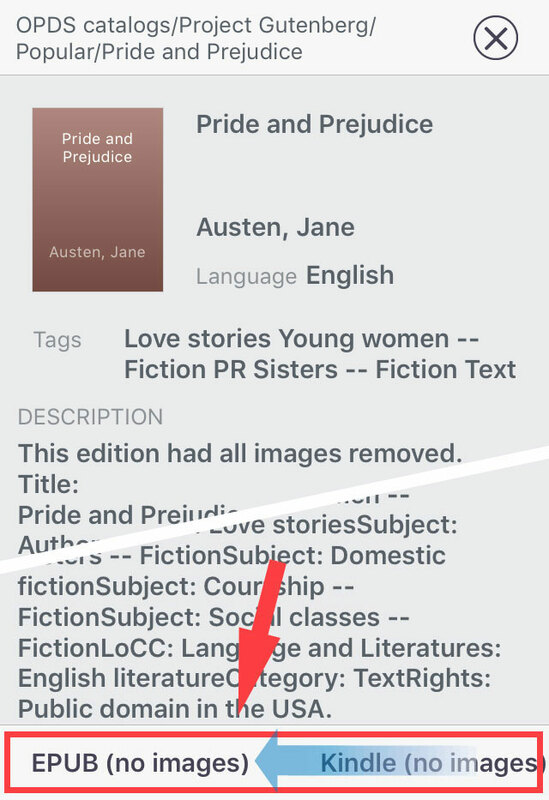 Select the book and then tap link in the Info Panel. Swipe horizontally to view all links if necessary. 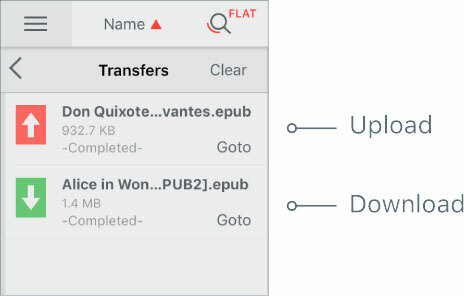 Tap Main menu on the Toolbar, and then, choose Transfer List. After the download is complete, tap Goto to go to the selected book in the Library.